On April 5, 1979, 58 people met with Bishop Child to discuss the organization of an Episcopal church in Snellville. Two weeks later, 35 of those 58 people met at Dr. Ed Bowen’s office on Lenora Church Rd, Snellville, to celebrate Holy Communion with Bishop Child. A formal organizational meeting was held in July of that year, at which time St. Matthew’s was given a name and became a Mission Station. Regular Sunday services began on August 5 at Centerville Elementary School, with Father Gene Ruyle serving as Priest-in-Charge. In January 1980 Father Franklin Thomas was appointed as full-time Vicar, and St. Matthew’s received full Mission status. Worship services were moved to the Snellville Civic Center in June of 1980, and land at the current site on Oak Road was purchased in August of that year. A building fund drive launched in April of 1981 resulted in the completion of the new church building one year later; 592 people, representing 130 families, joyfully celebrated Palm Sunday in the new church on April 4, 1982. In November, 1982, Father Thomas departed as Father Paul Gerlock became interim Vicar. On September 4, 1983 Father Edward Hanson was called as full-time Vicar. During Father Hanson’s tenure, the church grew in membership to approximately 300 families and the budget increased from $60,000 to $195,000. The church facilities were enlarged by an addition to house the offices, music room, and classrooms. St. Matthew’s attained full Parish status during this period. In November 1989 Jim Crews became the first youth director at St. Matthew’s. He remained with St. Matthew’s until June 1995. Father Hanson resigned in January 1991. Father John Dukes and Father Scott Harris began serving as Priests-in-Charge. A search committee was formed, and on August 22, 1992 Father Douglas Coil was called as Rector. On January 5, 1997 the parish broke ground for a new education building, and in August of that year the Strickland Education Building was dedicated. On May 18 that same year ground-breaking for the new Sanctuary was held. On April 5, 1998, the first service was held in new Sanctuary (Palm Sunday), 19 years to the date of the first organizational meeting. The new Sanctuary was dedicated on April 19, 1998. Fr. Jim Johnson came to St. Matthew’s as an assisting priest on 2/22/1998. He remained with the parish in that capacity until 3/31/2005. Dan Mitchell joined the St. Matthew’s staff as Music Director on 8/16/98, and continues in that position at the present time. Dan directs the Sanctuary Choir and has overall responsibility for the coordination of all service music and other music programs for the parish. 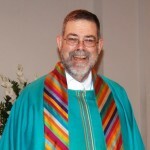 St. Matthew’s first youth minister was Jeff Tait, who served in that capacity between July of 1996 and May of 2002. On June 1, 2003, St. Matthew’s called Sally Ulrey as full-time youth minister for the parish. Fourteen youth (middle and high school) came to the first youth group meeting held after Sally’s arrival in 2003. Since that time, the youth programs have grown each year: the first Sunday in 2010 showed an attendance of approximately 40 youth, with a total of about 70 kids registered in one or another of all the Youth Programs. In July 2005, Rev. Dr. Brad Smith was called as Associate Rector of St. Matthew’s. Fr. 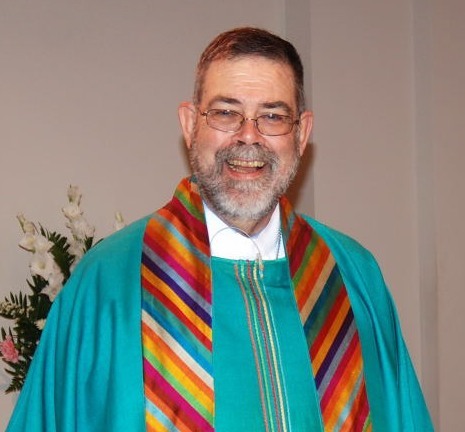 Brad served the parish until November 2009, when he was called as Rector of a parish in NC. Fr. Doug retired on July 1, 2013 after twenty-one years as rector of St. Matthew’s and forty years in service to our Lord. At that time the Rev. 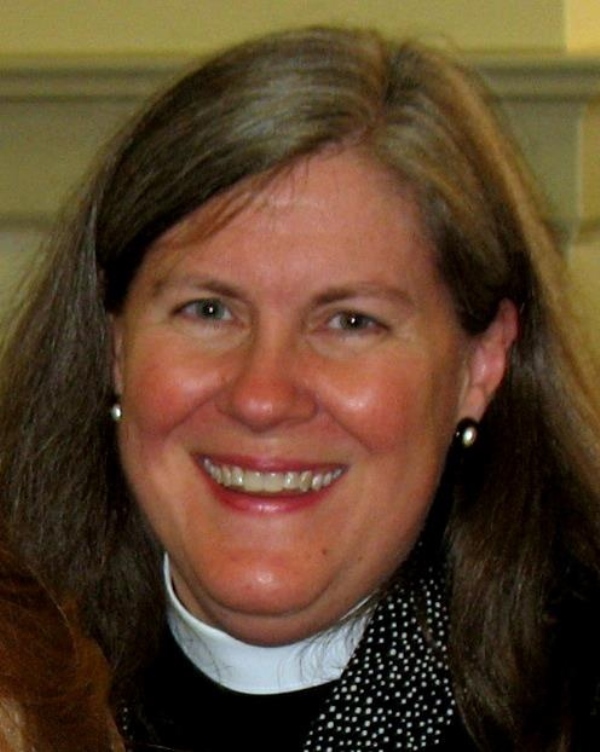 Debbie Metzger Shew was appointed as Interim-in-charge by the vestry. 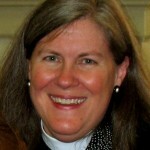 A search committee was formed and called Reverend Canon Elizabeth Hendrick to serve as rector. She celebrated her first Eucharist at St. Matthew’s on Sunday, December 14, 2014. During St. Matthew’s history the cultural and racial profile of the parish has changed dramatically as a result of being located in rapidly growing Gwinnett County. Today St. Matthew’s is a racially and ethnically diverse parish.